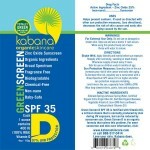 Green Screen D Organic SPF 35 is free of common allergens. It’s soy-free, gluten-free, corn-free, dairy-free, Non-GMO and vegetarian. 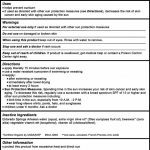 Please see the Ingredients tab above for a complete list of ingredient in the product. 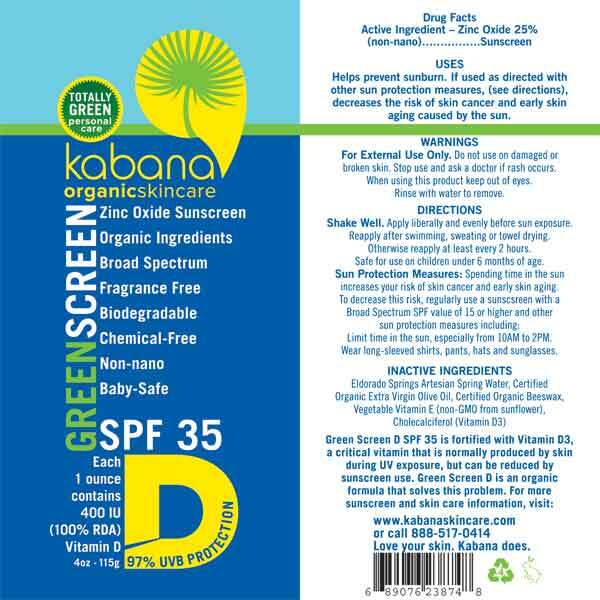 Green Screen D SPF 35 will normally wash out of clothing using laundry detergent in a modern washing machine. If whiteness persists, use a stain stick. My daughter has super sensitive skin on her face, where she would get outside and the least bit of sun would start to burn on her cheeks right under her eyes. We have tried every sensitive skin sunscreen under the sun and just plain zinc and nothing has worked, she would have little rash type bumps on her cheeks, forehead, nose, and eyelids. She would within a day of using the other sunscreens out on the market, swell up, and break out. She would then need to stay inside and apply a prescription medication onto her face, take Benadryl which makes her sleep, and just be plain miserable for days – then didn’t want to go back out in the yard, the pool, or play outdoor sports due to her face breaking out. I searched the internet over and read reviews and I Thank God daily I have found you and your website as this is a miracle sunscreen. Not only has it protected my daughters face, being at the beach and outside for a full week, but it has also cleared her skin up completely. 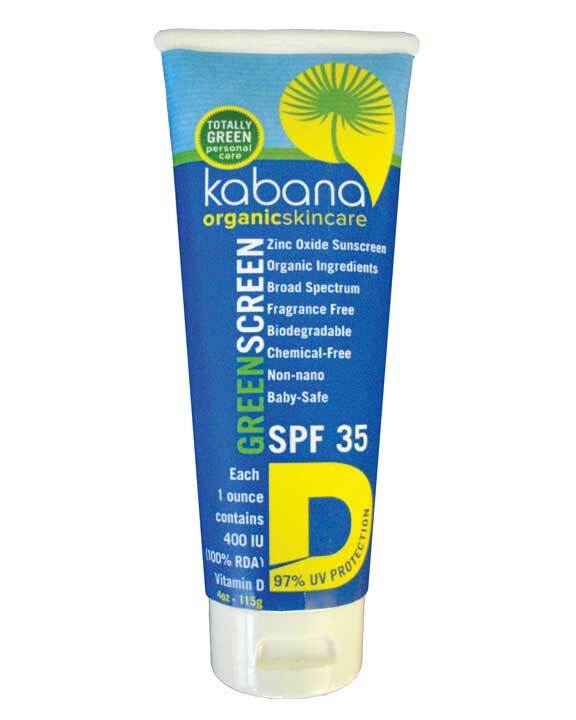 She is 13, and yes with that age comes the dreaded pimples and such, Not anymore – this has cleared her up in more ways than one.. We will Keep this Kabana's Green Screen D SPF 35 Sunscreen in our house from here on out. Thank you, Thank you, Thank you again from the bottom of my heart for bringing back my sun loving daughter! I love Green Screen D! 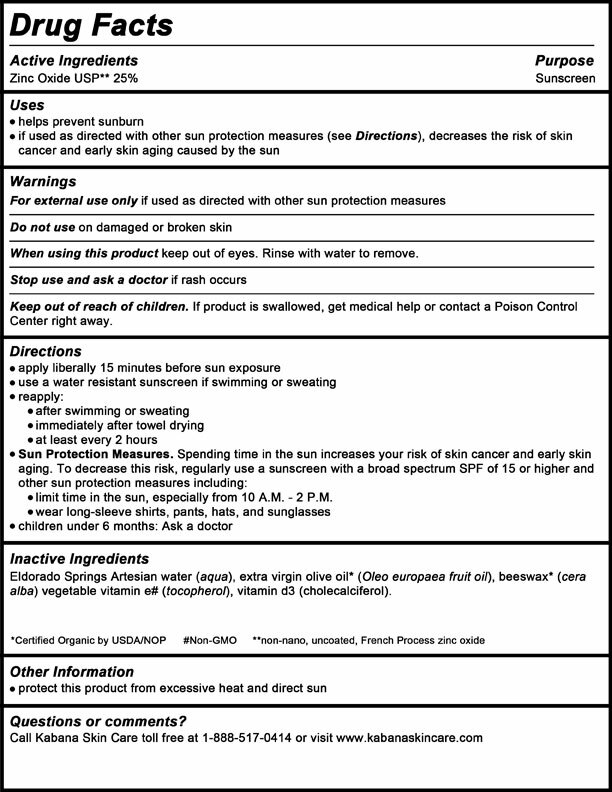 I had been searching for years as my hyper sensitive skin could not cope with other 'natural' sunscreens. I was amazed it had just six pure ingredients and a very high percentage of Zinc Oxide. The fact that it contains Vitamin D is amazing, I love not having to worry I am not getting enough sun - I showed it to my doctor he was very impressed by this. 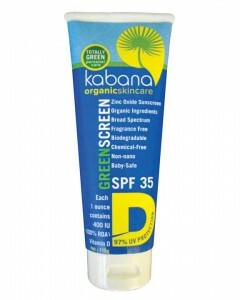 All other natural sunscreens gave me blemishes, not only does this not block my pores but it has also improved my skin - it is very nourishing and feels more like a moisturizer. Unlike other companies I have total trust in you and I enjoyed reading all the background science behind the product. 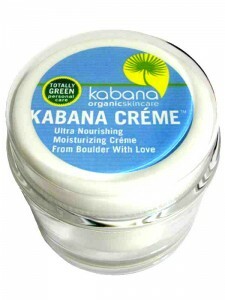 I would recommend this to everyone, especially sensitive skinned people. 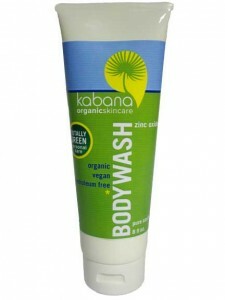 Thank you Kabana for making such a wonderful product! I just wanted to say how happy I am to find a product that does what it says. I have very sensitive skin and work outside on a goat farm, in NEW MEXICO. Being a very fair Scandinavian, this can be tough, my skin is also very sensitive and can breakout just from the smell of normal sunscreens. I am so happy to have found your products and my skin is happy too. Keep doing what you're doing because it's working. We don't need all the chemicals that the corporations thing we do. I'll keep spreading the word of your products as long as you keep making them! Truly amazed by this product. I’ve suffered PMLE for years and usually on day 2 I have to get a steroid shot. I’m in Jamaica on my last day and no itchy rash just some redness from tanning and that’s all. Finally I’m enjoying a beach vacation!